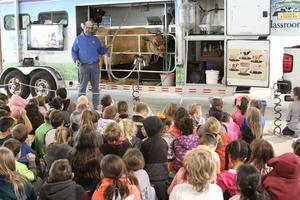 COCISD and Shepherd ISD 2nd grade students enjoyed a variety of fascinating exhibits at this year's Ag in the Classroom event, held at the San Jacinto County Fairgrounds on Wednesday, April 3. Sponsored by the San Jacinto County Farm Bureau, the event was manned by professional presenters assisted by Coldspring FFA students. 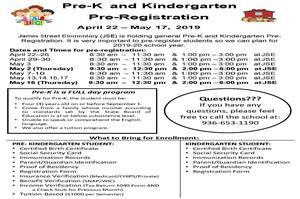 James Street Elementary will be holding a general Pre-K and Kindergarten pre-registration on April 22-May 27. Pre-K is a full day program. Students must meet eligibility qualifications in order to enroll. For a full list of qualifications, click "Show More" below. 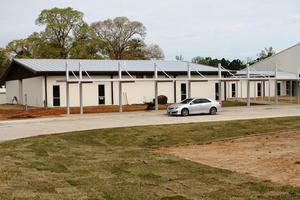 The new COCISD Pre-K wing will be open for the 2019-2020 school year. It will house four large Pre-K classrooms, each with its own restroom and water fountain, as well as new offices for COCISD's Health Services Department and a clinic for the James Street Elementary and the Coldspring Intermediate campuses. It's Educational Diagnosticians' Week - we love our Diagnosticians! March 4-8 is Educational Diagnosticians' Week. Diagnosticians are responsible for testing students to determine the need for special education services. They also play a huge role in developing educational plans for students identified with special education needs. 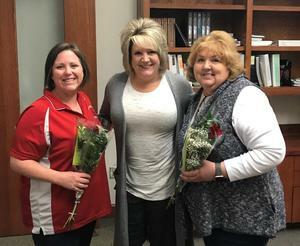 We are blessed at COCISD to have two wonderful diagnosticians who serve the needs of our students, Jennifer Rudloff and Sheila Deason, to serve the students and families of our district. District 23-3A awards have been announced for the 2018-19 basketball season. 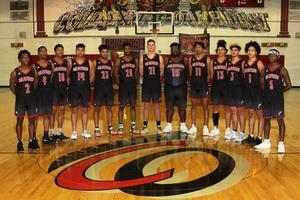 it was a record-breaking season for our Coldspring-Oakhurst High School basketball program, with both the Trojans and Lady Trojans making it deep into the playoffs. The Trojans finished with an overall 35-3 season, a school record according to Coach Greg Devers who was named 23-3ACoach of the Year. Our Trojans made it to the regional semi-finals for the first time since 2006, and our Lady Trojans made it to the 3rd round (quarterfinals) for the second year in a row. For a complete list of the District 23-3A awards, click "Show More" below. COCISD will hold early dismissal for all students and staff at 12:30 p.m. on Friday, March 1st, to give everyone the opportunity to attend the basketball playoffs at Midway High School in Waco. Our Coldspring Trojans have advanced to the UIL 3AAA Regional Basketball Tournament this Friday, March 1st, at Midway High School in Waco. The winners of Friday's games will play on Saturday to determine who advances to the State Championship Tournament in San Antonio next week. Go Fighting Trojans! Dr. Mae Carol Jemison is a medical doctor, engineer, astronaut, and author. As a crew member of the Space Shuttle Endeavour’s September 1992 mission, she was the first African-American woman to travel in space. She is also a dancer, actress and foreign language enthusiast. This week's profile is on a man who transcended racial prejudice and barriers in the entertainment industry in ways that had never happened before. Bill Robinson was a tap dancer and actor who paved the way for future entertainers such as Sammy Davis Jr. and Gregory Hines. His legacy of courage, generosity, and love lives on through the dancers he mentored and inspired. For the second year in a row, the COCISD Child Nutrition Department has earned Best of the Bunch in the Texas Department of Agriculture’s (TDA's) Local Products Challenge. The Local Products Challenge encourages school nutrition departments to incorporate more Texas products into meals, and to teach children about healthy lifestyles and Texas agriculture. 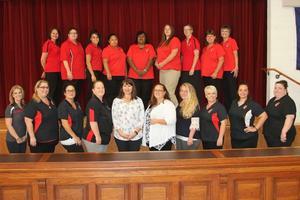 The COCISD Child Nutrition team earned the award by meeting the highest standards of the challenge.